This is the gatekeeper to the parking lot where I work. 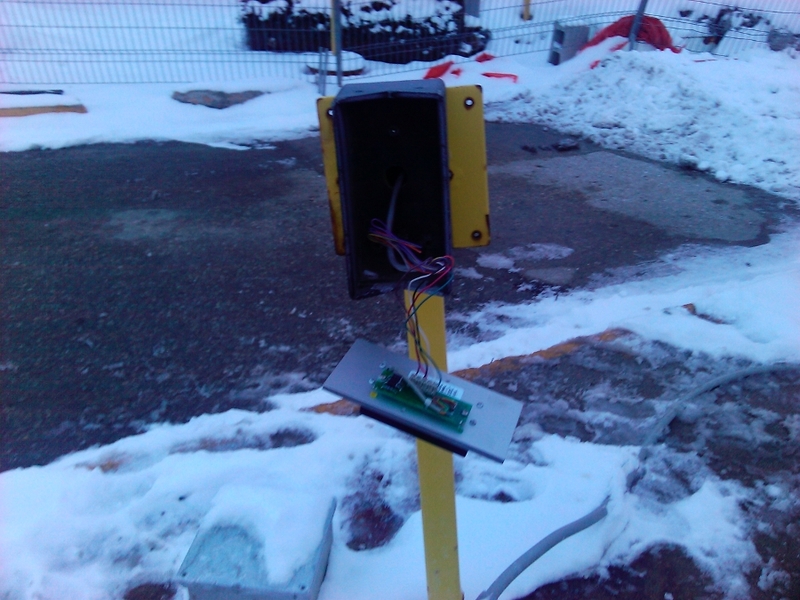 I have no idea what tragedy befell our robotic sentinel but it miraculously still would let you swipe your entry card. Next Next post: It Lives! !